3M465 Acrylic transfer tape coated with a 400 adhesive, high performance acrylic-based adhesive; available with extended liner 2 25 oz. 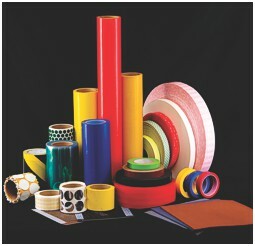 Permanent Metal and plastic nameplates and label attachment, laminating of foams and photos, core start up and splicing of foils, films and fabrics. 3M467MP Acrylic adhesive transfer tape with 200MP, a medium tack, high performance acrylic-based adhesive 2.3 82 oz. Permanent ADA signage, graphic attachment and industrial joining, graphic overlay, nameplates, stainless steel and high surface energy substrates. 3M468MP Acrylic adhesive transfer tape with 200MP, a high tack, high performance acrylic-based adhesive 5.2 118 oz. Permanent ADA signage, graphic attachment and industrial joining, graphic overlay, nameplates, stainless steel and high surface energy substrates. 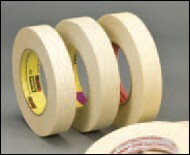 3M9472LE Laminating tape coated with 300LSE, a high-strength, acrylic-based adhesive 5.2 119 oz. Permanent Metal and plastics nameplates, attaching labels, laminating foams and photos, core start up, splicing of foils, films and fabrics. 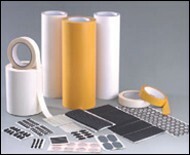 3M950 Acrylic transfer tape coated with 300 adhesive, a high performance acrylic-based adhesive 5 75 oz. Permanent Metal and plastics nameplates, attaching labels, laminating foams and photos, core start up, splicing of foils, films and fabrics. 3M9502 Acrylic adhesive transfer tape with 220 adhesive, a medium tack, high performance acrylic-based adhesive 2.3 74 oz. Permanent ADA signage, graphic attachment and industrial joining, graphic overlay, nameplates, stainless steel and high surface energy substrates.